Circuit simulation packages generate the network equations automatically. In time domain analysis this results in a system of differential-algebraic equations, which is solved numerically by BDF schemes and/or the trapezoidal rule. 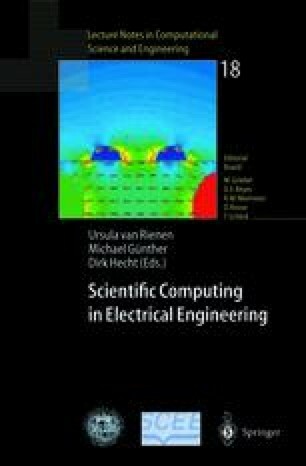 CHORAL, a charge-oriented Rosenbrock-Wanner method, has been developed as an alternative approach for digital circuits. By its successful implementation into TITAN, Infineon Technologies’ circuit simulator, a second integration scheme is available for the first time. Results for benchmarks and industrial circuits show that CHORAL is competitive with the standard ansatz. A careful analysis shows that CHORAL can be interpreted as a numerical (non-ideal) low pass filter with all its beneficial properties: oscillations of physical significance are preserved, but highly oscillatory perturbations are damped out very rapidly.